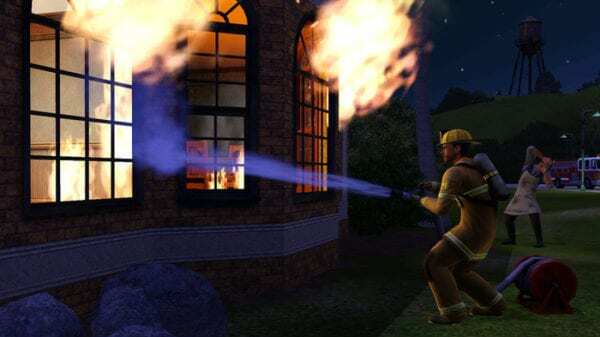 The Sims 3 had 11 iconic expansions that fans no doubt think back fondly upon. Well… some of them, at least. When it comes to The Sims 3’s expansions, which one is the best one, though? 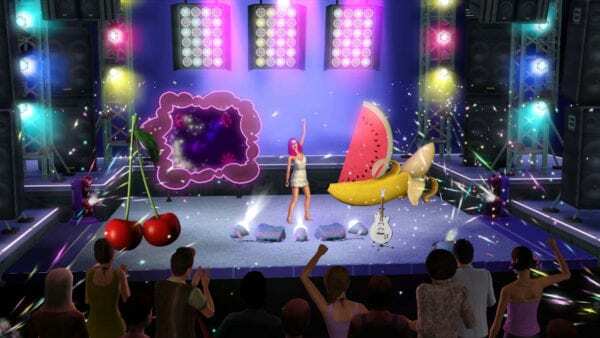 Let’s give you the definitive, best Sims 3 expansions, shall we? Here, we have a ranking from worst to best. Enjoy, and let me know in the comments down below which one’s your favorite! And if you’re interested in knowing some awesome TS3 mods you should download, check this list out over here! Let’s be real, this The Sims 3 expansion came out when Twilight was all the rave and weird Supernatural stuff was totally in. In reality, though, this expansion is pretty worthless and too out there. 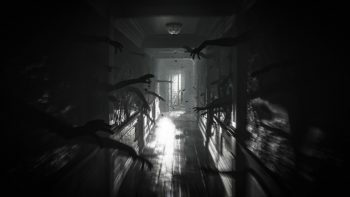 If you’re into roleplaying supernatural scenarios, it’s perfect. But for those looking to raise a regular family, dealing with the annoying full moon zombie attacks and having majority of the town’s population turn into werewolves or vampires over time is too much. This expansion feels like another cash grab as is clear by the Katy Perry branding on the special edition. It doesn’t add all that much, unless you were really into being a performer of sorts for your sim’s career. The new careers are interesting and how they’re tackled can be fun, but not for long. The new decor added in with this expansion, like with Supernatural’s, is so specific that it makes everything ostentatious and you won’t find any real use for it outside of roleplaying a performer. But at least being a singer is possible now, right? The final Sims 3 expansion didn’t really make the game go out with much of a bang. It’s interesting that you can travel to the future of your sim town, but that loses its glitz and glamor quickly. 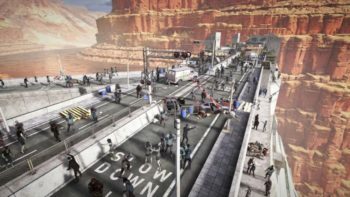 What is cool about this expansion are the robotics, hoverboards, and jetpacks. But even those you can just bring back with you to the past once you’ve acquired them. All in all, there’s not much added for it being the final expansion to The Sims 3, and they really could have done a lot more with the futuristic setting that ultimately just feels tacked on. When will The Sims make pets amazing? 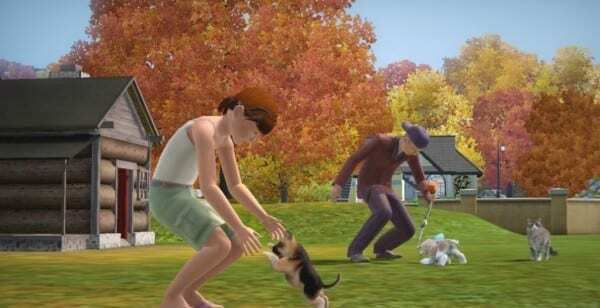 We need to give credit to The Sims 3 for giving pets a lot of functionality right off the bat, but playing with them gets old really quickly. 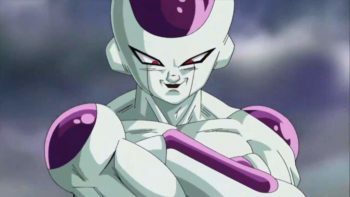 However, one can argue that they are a wonderful, furry addition to the family and thus are perfect for roleplaying with. While that is true, it’s just a shame that the pets feel like a completely stale experience after a while. This expansion also didn’t really add much else besides the pets. Everything else is forgettable, except the dogs, cats, and horses. 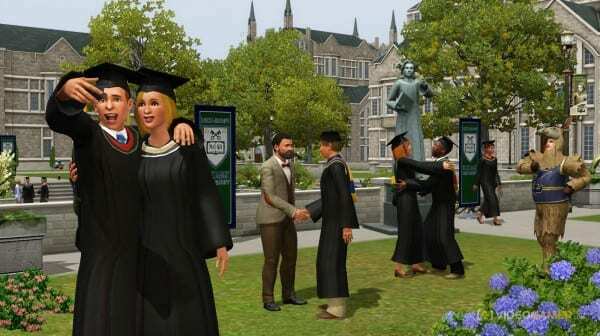 University Life allowed your sims to pursue higher education to enrich their minds and unlock better careers for more simoleons. It introduces a whole new (college) town for your sims to live in while they work towards their degree. You need to head to class, attend parties, generally do whatever you want to do as a college student. 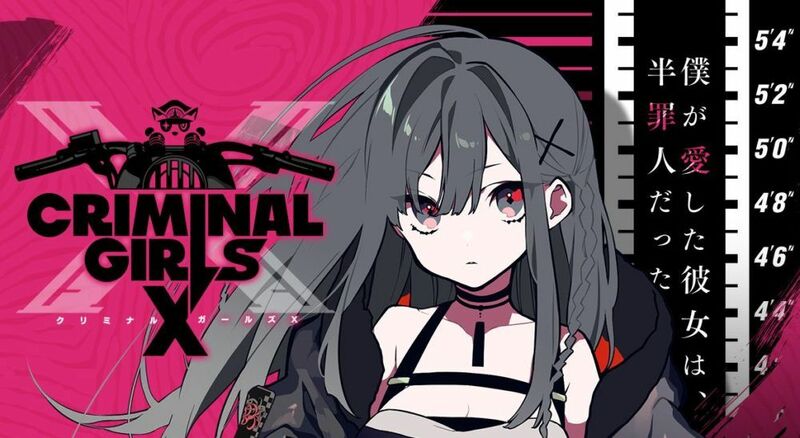 While this new gameplay mechanic is cool to undergo after your teen sim has grown up, and the careers are a nice addition as well, there are better expansions that add a whole lot more, beating University Life out. 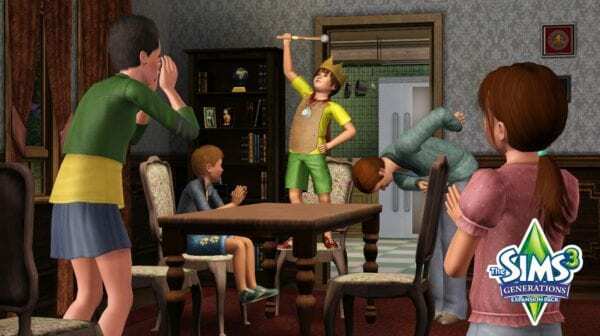 Generations was all about family and living life in the different sim stages. It brought on a slew of features that gave more life and difference between being a sim kid and being a sim elder. Sims now had memories. They now had specific parties they could attend or throw for graduations, weddings, sleepovers, and more. Your teen sims graduated and went to prom, they actually experienced teen stuff and could get in trouble when pulling pranks. Your adult sims had mid-life crises, for god’s sake. This entire expansion made a sim’s life feel much lived with its additions. Late Night was all about partying it up and living the night life. This expansion introduced high rise buildings that your sims could live in to really take on the fast-lane lifestyle of the new city of Bridgeport added into the game. Bars and clubs are also added, giving your sims a spot to mingle with some locals and dance up a storm. 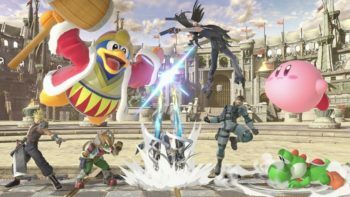 And, of course, there is the great gameplay addition of “groups” that came with Late Night that we cannot fail to mention here. No more will you awkwardly have to make your sims go to the same spot by commanding them or asking others. Simply form up a group between sim friends and everyone will go together, have fun together, and leave together for some epic outings. Island Paradise was the ultimate “alright, what else can we do” expansion. This concept hadn’t really been done in previous sim games, but that’s what made it so fresh for long-time fans. You could now live on a tropical, beautiful island. You could own and manage a resort, which added tycoon aspects to an already robust simulation game. You could live on a boat house and say “f it” to responsibilities. And, to top it all off, there was a whole new world beneath the sea for your sims to scuba dive and explore. It added so much that it’s hard not to count this fresh new expansion high on this list. The biggest issue, though, is that this expansion did break the heck out of most computers with how massive it all was. Ambitions finally gave fans what we wanted for years; the ability to follow our sims to work. Finally! Let’s say it again, one more time, because it’s almost hard to believe that it happened; finally! You could be a firefighter, bravely dousing flames around town, or a fashion designer, turning tragic sims’ looks around. You actively needed to participate in your sim’s professions each day in order to advance and that’s what made it so fun. Oh, and you could finally be self-employed, earning legitimate money from home. Tattoos also became available in this expansion, for those ink lovers out there, and sure, laundry is kind of tacked on, but it’s nice to have for that moodlet, anyway. Seasons was so important as an expansion because it added something that’s very crucial to roleplaying well: weather. It completely changed how the world worked each season. Now your sims had to worry about hypothermia, getting sick, what appropriate clothing to wear on what day, holidays to celebrate with friends and family, and festivals to attend each season. It’s one of the funnest expansions because the simple addition of the real world weather system completely changed the game. Plus, it’s pretty awesome that your sims could now jump into the ocean for some summer fun. Oh, and tanning. Tanning for life. And, finally, at number one is World Adventures. This Sims 3 expansion was the first one and it introduced us to three whole new worlds. Your sims could be cultured now! They could go on vacation and become traveled individuals! They could work on their Visas and go on quests and collect ancient treasure! They could now make memories, see sights, meet foreign sims, and learn different cultural activities (cooking different recipes, singing local songs, etc). It was all so special in a game that already had changed how The Sims played forever, and it really added a whole new breadth of life to the game for when your sims had extra cash lying around. Which sprinkle atop the vanilla was best?